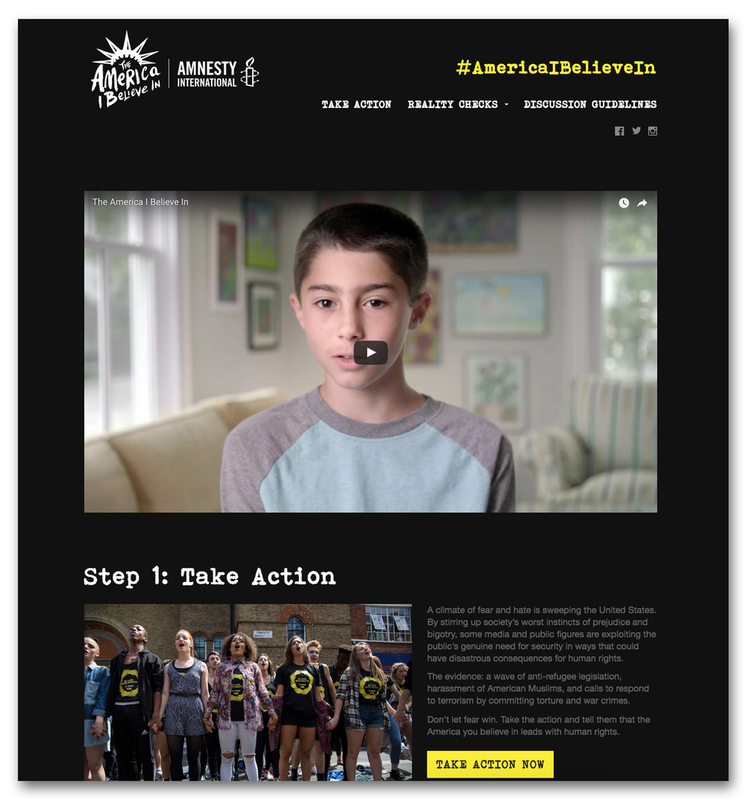 Amnesty International recently launched a new campaign under the name The America I Believe In. The intention of this new campaign is to incite hope rather than fear in our country. As American we have the responsibly to be the lighthouse of democracy and progress, but so often bigotry and fear cripples our ability to be this lighthouse we aspire to be. With the design and branding of this campaign we strived to be both positive yet serious, we want the logo to have a grassroots and populist feel.